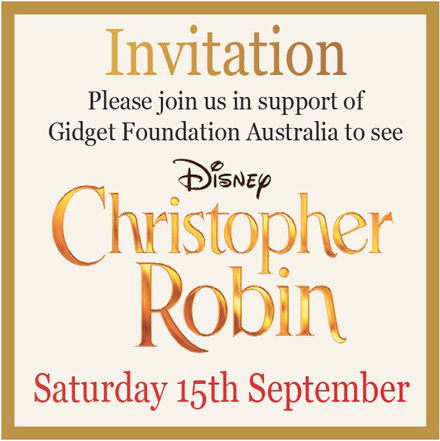 The Gidget Committee are thrilled to invite you to a wonderful family event to see the new Disney hit movie, Christopher Robin, at Hoyts Warringah Mall! Perfect for everyone in the family – the young and the young-at-heart – this is sure to be a great afternoon. The Christopher Robin movie was inspired by A.A.Milne’s book, Winnie-The-Pooh, and is one not to be missed this Spring! To purchase tickets click here.